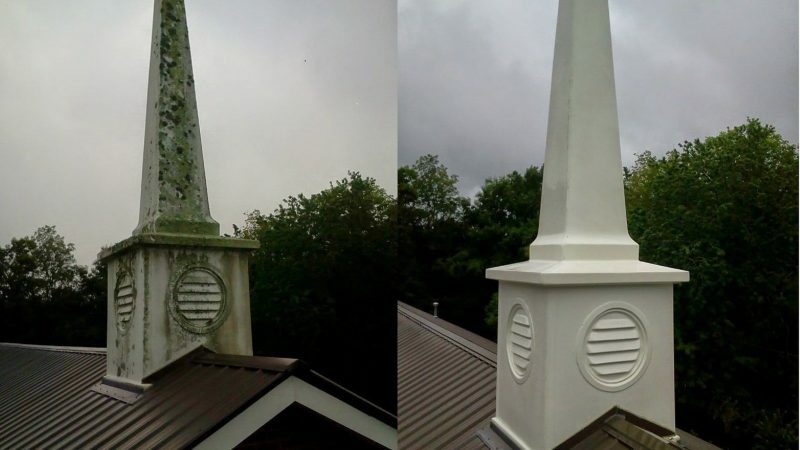 Let our church steeple cleaning experts help you! Your steeple is intended to draw attention to your church, honoring Christ, and offering a safe haven. It’s a prominent image to your community. Does yours look inviting and welcoming, or foreboding, dark, and dirty? Does it reflect the pure image you want those inside to seek, or is it covered in bird droppings, mildew, and grime? 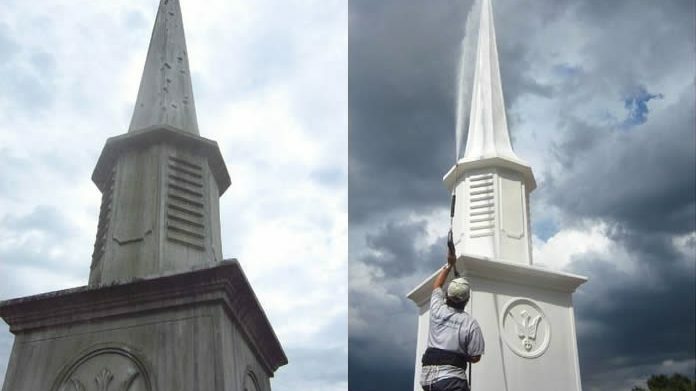 If your steeple no longer reflects the reverence it’s meant to represent, it’s time to call the church steeple cleaning experts at Anew Contractors. 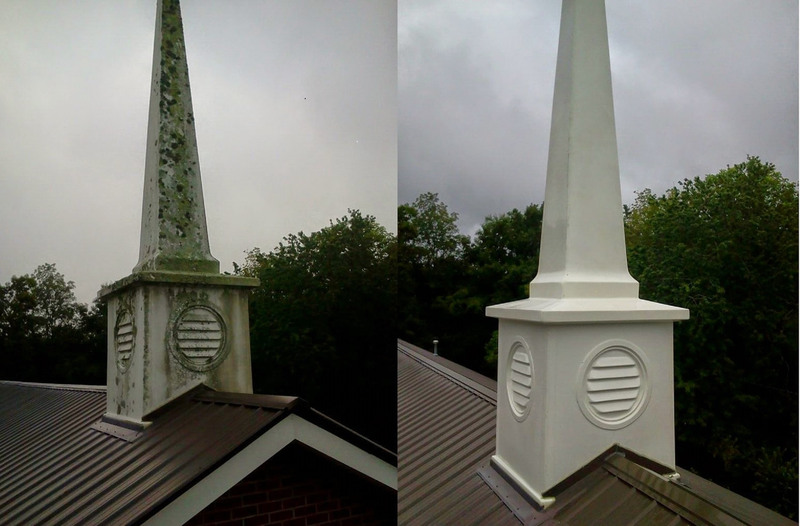 Church steeple cleaning is an important job, but not an easy one. Trying to simply “hose it down” can create a worse look than before (as well as leave a mess below). Tall ladders and volunteers create dangerous situations leading to potentially dreadful consequences. 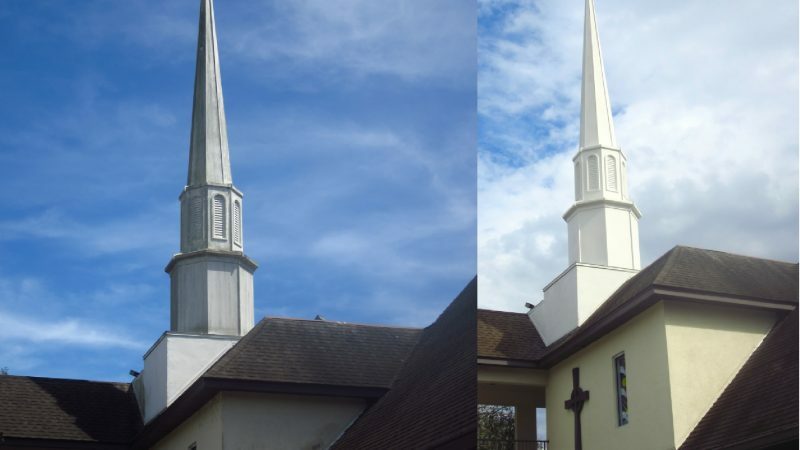 Sometimes a steeple’s placement makes it almost completely unreachable… unless you’re Anew Contractors. 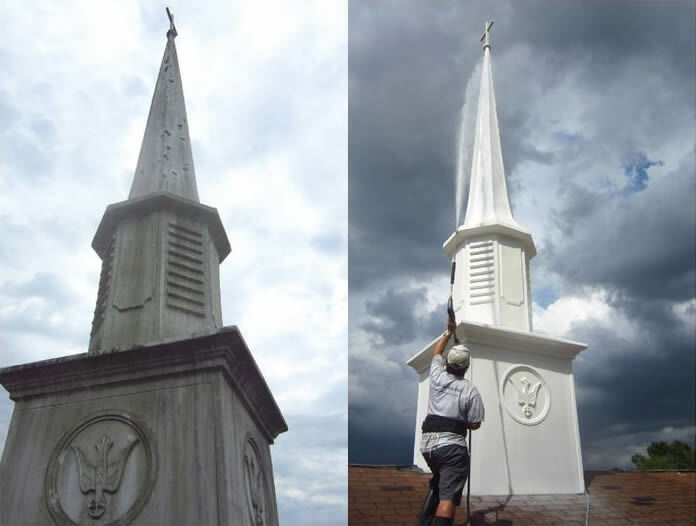 With specialized equipment, trained, professional workers, and a soft-wash system to protect your property (as well as comprehensive insurance on all property and workers), Anew can restore your church’s symbol of hope to your community. Of course, if your ministry is thriving, finding a time to clean it can seem daunting. When isn’t the church busy? That’s okay. Anew is experienced in working with church scheduling to avoid hassle to church-goers. 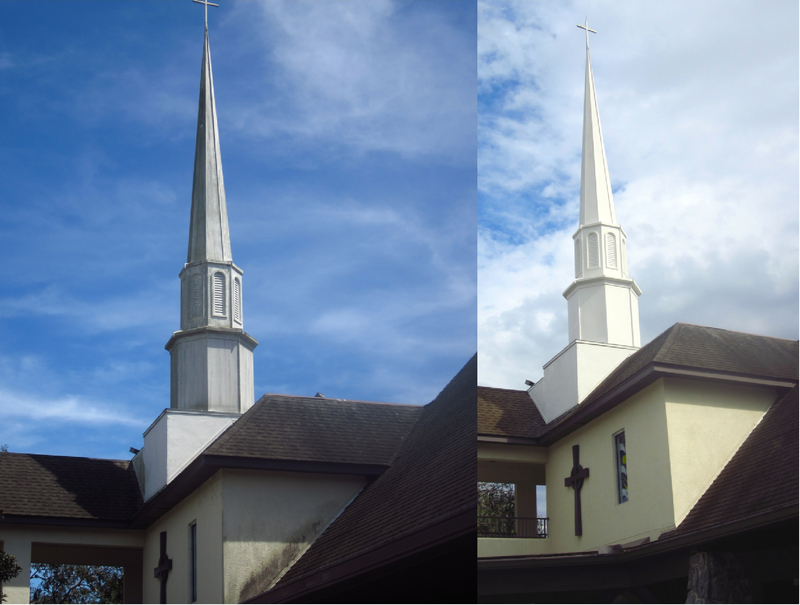 In fact, we can accomplish most church steeple cleaning in a single day! Restore the purity and brightness your church longs to reflect – call Anew and be renewed!